The Uniformed Services Former Spouse Protection Act (USFSPA) is a federal law that provides certain benefits to former spouses of military members. 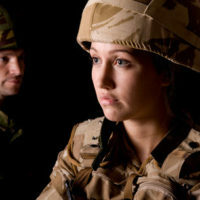 This Act can have a significant impact on your military divorce in Florida and it is important to have an experienced divorce attorney by your side who understands the importance of this law on your divorce. The law office of Blair H. Chan, III has zealously represented clients navigating a military divorce in Tampa and is here to help you understand how this Act could potentially affect your case. However, there are some limitations to the USFSPA that the Act does not cover. The Uniformed Services Former Spouse Protection Act does not mandate courts to divide retired military pay, establish a formula to divide military retired pay, award a predetermined share of military retired pay to former spouses, place a ceiling on the percentage of disposable retired pay that may be awarded, or require an overlap of military service and marriage as a prerequisite to the division of retired military pay as marital property. In certain circumstances, a former spouse can receive direct payment of military member retirement pay from a military pay center in Florida divorces. This occurs if there is a state court order or property settlement in a military divorce that was ordered, ratified, or approved by the court and the final order specifically dictates that the direct payment from the retirement pay is going towards either child support or spousal support. Direct payment is also an option if the final order identifies the retirement pay as marital property if the former spouse was married to the military member for ten years or more, during which time the military member performed ten years or more of service. In this case, the court order must express payment in terms of dollars or as a percentage of the disposable retirement pay. Direct payments of a military member’s disposable retirement pay will terminate if specific circumstances are met. Direct payments terminate if the terms of the court order are satisfied, the military member passes away, or on the death of the former spouse. To learn more about the USFSPA and whether your case qualifies for direct payments, call or contact the Tampa military divorce lawyer at the office of Blair H. Chan, III today.